Having a bad cough that just won’t go away can be quite annoying. You barely make a statement and the bouts start again, affecting your ability to speak and enjoy conversations. Sometimes, it limits your participation in important meetings, dates and events– making you feel very uncomfortable. Knowing how to get rid of a cough fast can help you get back to your normal state really quickly and save you a lot of inconveniences. The good thing is that most coughs are transient, they go away on their own without any intervention or need for any medications. However, most people aren’t satisfied with not knowing how soon they will get over a coughing bout, we all want something definite. So, we try different methods and medications, cough syrups and sometimes antibiotics, not knowing what will work for sure. Also, in this internet age, there’s so much information on cough remedies that you can’t tell which one is correct. In this article, we will be teaching you very important but simple tips to help you get rid of your bad cough really quickly. We will be explaining different causes of cough and when coughing could be considered dangerous. It is important to know what exactly is causing yours before you can try to use strategies to combat this annoying symptom. So, let’s start by briefly explaining how coughs happen and possible reasons why you are coughing. Coughing is a protective reflex. Your body tries to defend your respiratory tract from excessive mucus, irritants, chemicals, infections and foreign bodies by making you cough. Even though it can be very uncomfortable, it has a purpose, and that purpose is to protect you. There is even a special pathway that stimulates a cough. Some specialized receptors in your respiratory system detect an irritant, they send a signal to the ‘cough centre’- a special area in your brain stem. The cough centre then sends a signal through some nerves to the muscles around your airway that makes you cough. Coughs can be productive or non-productive. 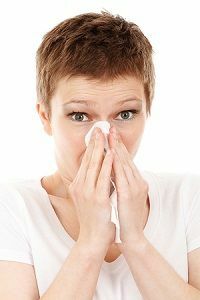 The difference is that with productive coughs, you cough up sputum, mucus or phlegm, while non-productive ones are dry. So, coughing is naturally not bad, but a defensive action. However, in some cases, it can be very unpleasant and can be a symptom of a disease. What this means is that if you treat the disease, the cough goes away with it. Most coughs are caused by common cold and usually go away in a few days without needing any treatment. Most medications don’t target the common cold virus, they rather help with your symptoms. Now that we have learnt why we cough and conditions that can lead to cough bouts, let’s go on to the main purpose of this article– practical tips to getting rid of a cough very fast. It’s time to tell what really works and how it stops your cough. The first strategy we recommend for getting rid of a cough is to drink enough water and fluids. Fluids help to thin out mucus, making it easier to expel. This is particularly useful when you feel there is mucus stuck up in your throat that seems so hard to cough up. Drinking enough fluids will ‘dilute’ the mucus and you can then clear it off. Another added benefit of drinking enough fluids is that it keeps the surface of your airways moist, making you less likely to have cracked and irritated airways. For an added benefit, place a towel on the back of your head to trap some moisture. Another way to achieve this is to take a warm shower, the steam from the bath rub can help to loosen out mucus too. This strategy should not be used if you’re asthmatic, as it could actually worsen your symptoms. I also suggest that you avoid this method or exercise extreme caution if you’d use steam inhalation for children. It’s been reported that some children have suffered burns from hitting the hot water bowl. If you aren’t comfortable inhaling steam from a bowl, you can use a humidifier, it works in a similar manner, by thinning out thick mucus. If you have a humidifier, it is important to always keep it clean as it can be a reservoir of allergens and dust. Also, remember that this method should not be used if you think your cough is related to an asthma attack. 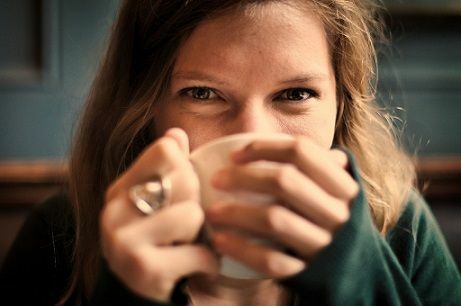 Tea has been found to be helpful for treating coughs especially when hot. The vapour helps to thin mucus and decrease congestion. Honey, on the other hand, soothes the throat. Some studies have shown that honey is quite effective in providing relief from cough symptoms. A simple recipe you can use at home is to mix two spoons of honey with warm tea and you should feel better soon. This method should not be used in babies as honey is a ‘no-no’ for them. As a rule, you shouldn’t give honey to children less than a year old as this puts them at risk of developing infant botulism- a potentially fatal illness that invades the digestive system and causes widespread muscle weakness. Menthol has a mild anesthetic effect on the throat and counters irritation. It provides a cool feeling that soothes the throat (we probably all know this first hand). Taking menthol-based cough lozenges stimulates the production of saliva and keeps your throat moist. Its numbing feature also decreases your cough reflex, making you less likely to feel like coughing. One important warning you should note is that menthol and cough lozenges shouldn’t be used to treat coughs in children. Some medications have cough as a side effect. A common example of this is the use of angiotensin-converting enzyme inhibitors (ACE inhibitors), a popular class of antihypertensive drugs that are used to lower blood pressure. 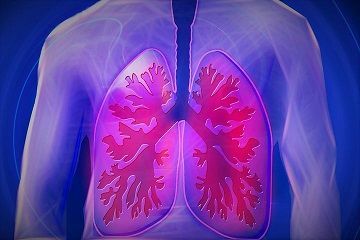 A study shows that about 5-35% of people who were treated with ACE inhibitors developed a persistent cough. Once the drug is discontinued or changed, patients were relieved of their cough. So it is always important to ask your doctor for the side-effects of any medications you are taking– not just for cough but for medicines in general. 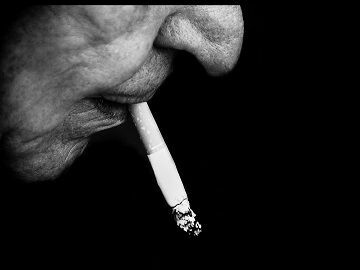 Most people who smoke cigarettes will develop a chronic cough at some point. It is so common among smokers that the term ‘smokers cough’ was coined. It is also linked to a sore throat and chest pain. The dangers of smoking cannot be over-emphasized, it is a very dangerous habit that can lead to many diseases like cancer and an early death. According to the CDC, there are more than 70 cancer-causing chemicals in cigarette smoke. If you smoke, it’s best to quit and if you’ve never smoked, please don’t start. If you’re looking for a helpful resource to help you stop smoking, here’s a good one for you by HelpGuide. You should also avoid passive or secondhand smoking– inhaling the smoke from other people’s cigarettes. Secondhand smoking can also lead to serious health problems. For some people, perfumes and strong-scented household cleaning liquids irritate their airways, leading to excess mucus production and then cough. Also, a room that isn’t well cleaned or dusted can harbour air irritants and allergens that can cause a cough. When trying to treat a cough, it is advisable to avoid strong odours, clean your room and keep your room well ventilated. Sometimes, this may be all you need to do improve your symptoms. Coughs can sometimes be present in the day and absent at night, or present at night and absent in the day. If it bothers you mainly at night, you could try using an extra pillow. Well, an extra pillow will make gravity drain the mucus stuck at the back of your throat. This method also works if your cough is caused by GERD (Gastroesophageal reflux disease)– a condition where the acid in the stomach flows back into the lower end of the throat and irritates it. The effect of gravity makes it less likely for this backflow of stomach acid. This may sound like some old myth but it actually works. Gaggling a mixture of salt and warm water is one home remedy that can get rid of your cough fast. Salt water helps to draw out excess fluid from the irritated tissues around the back of your throat, making them less painful. Also, warm salt water helps to thin out mucus, making it easier to cough up. As long as you can cope with the little taste of salt in your mouth, this should be a relatively effective DIY hack for getting rid of a cough. Now, if you noticed we haven’t mentioned anything about medications. We wanted to exhaust the possible techniques you can carry out on your own at home before moving on to drugs that can possibly help you relieve your cough. 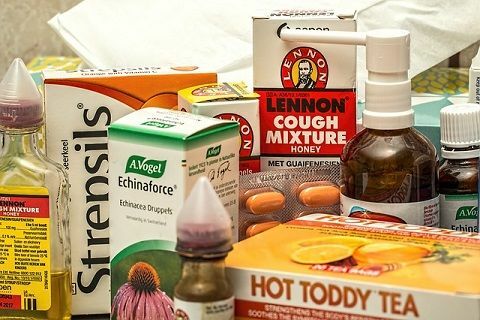 Depending on what’s causing your cough, there are different drugs that may help. Let’s explain some. Centrally acting cough suppressants act on the central nervous system (made up of the brain and spinal cord) to reduce the frequency or intensity of coughs. Popular examples are dextromethorphan and codeine. While they can stop coughs from many causes, they aren’t particularly effective if your cough is caused by a disorder affecting the upper respiratory tract or for coughs with mucus. Peripherally acting cough suppressants work by locally numbing the back of your throat, hence preventing the cough reflex. A common example is benzonatate. It is important not to give use these medications to treat coughs in children as they can cause serious side effects. Antihistamines work by blocking histamine, a chemical that can cause itching, swelling, and inflammation. They help to decrease coughs by reducing mucus production. Common examples of antihistamines are diphenhydramine and chlorpheniramine. Important: Some antihistamines can cause drowsiness as a side-effect. Decongestants temporarily clear the airway of mucus and decrease swelling. They are useful if your cough is related to a runny nose or productive of phlegm. The lesser the mucus in your nose, the less likely you will have any mucus dripping down your throat and stimulating a coughing bout. Common examples of decongestants are phenylephrine and pseudoephedrine. 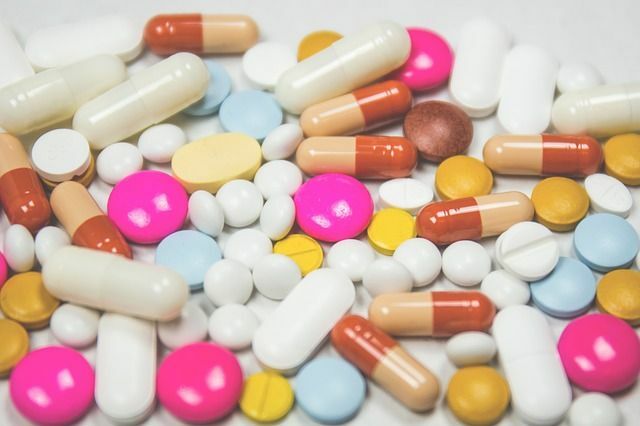 Important: These medications are known to increase blood pressure and heart rate, so you should talk with your doctor before taking them if you have high blood pressure and heart disease. Expectorants work by thinning out mucus, making it a lot easier to cough the phlegm up. This is very useful if you have a stubborn cough with thick mucus at the back of your throat. An example of an expectorant is guaifenesin, again, you should not prescribe these cough medicines to children. Common side effects of expectorants are nausea and vomiting. Note: Sometimes cough syrups contain different classes of medications. For example, some syrups contain a cough suppressant and an expectorant or an antihistamine. Antibiotics are only useful in the treatment of coughs if it is caused by a bacterial infection. For example, if a cough is caused by pneumonia, it should respond to antibiotics. However, antibiotics are not effective in treating common cold as colds are caused by viruses. Many people abuse antibiotics by taking it unnecessarily. 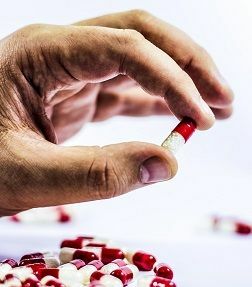 The abuse of antibiotics can cause antibiotic resistance– when bacteria no longer respond to antibiotics that used to be efficient in getting rid of them. If Gastroesophageal reflux disease (GERD) is the causative factor of your cough, medications like omeprazole and cimetidine are useful. GERD causes acid to irritate the lower end of your throat, stimulating a cough. These GERD medications work by decreasing acid production and hence lower the chances of acid seeping back up into the lower end of your throat. Asthma could present with a cough, and in some people, it is the only symptom of an attack. Asthma is associated with inflammation and narrowing of the airway with the production of excess mucus. 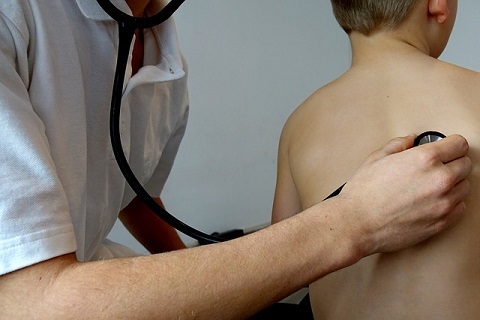 It is easily diagnosed in hospitals by taking a history and using a stethoscope to listen to the chest of the patient. It is usually treated with inhaled corticosteroids and bronchodilators. These work by decreasing the body’s hypersensitive reaction, reduce inflammation and widen the airway. Once these medications are taken, many asthmatics experience a relief in their symptoms. 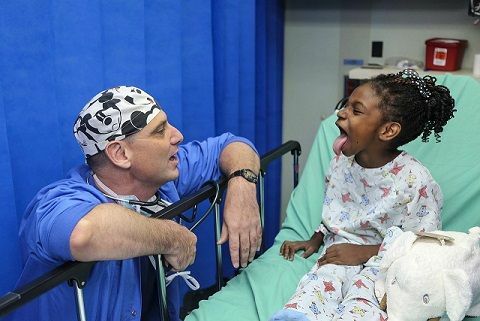 We have finally gone through 17 different strategies that are used to tackle coughs, but this article won’t be complete if we don’t discuss when to visit a doctor, after all, not all cough episodes require that you run to a nearby hospital. As we earlier stated, most coughs are transient, they go away on their own after a few days. But what if your cough persists? Is there any time limit for you to go see a doctor? In addition, if you have any chronic condition like asthma, GERD or allergies, you should see your doctor to treat these underlying conditions. 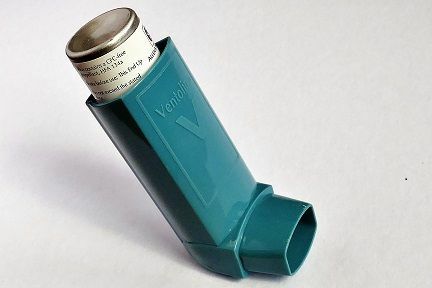 For example, a cough caused by asthma may persist till the asthma is treated using bronchodilators or corticosteroids. Now, we have come to the end of this article, thanks for hanging on. We have just gone through 17 practical tips you can use to get rid of a bad cough fast. Now we will love to hear from you. Is there any strategy here that has worked for you or is there any other way you get rid of your own coughs? Please let us know in the comment section, so we can evaluate it and possibly add to this list to also help others out. Feel free to also tell us any methods you don’t agree with, we will love to also discuss that. We’ll be waiting in the comment section. You can also share this article if you learned something new.